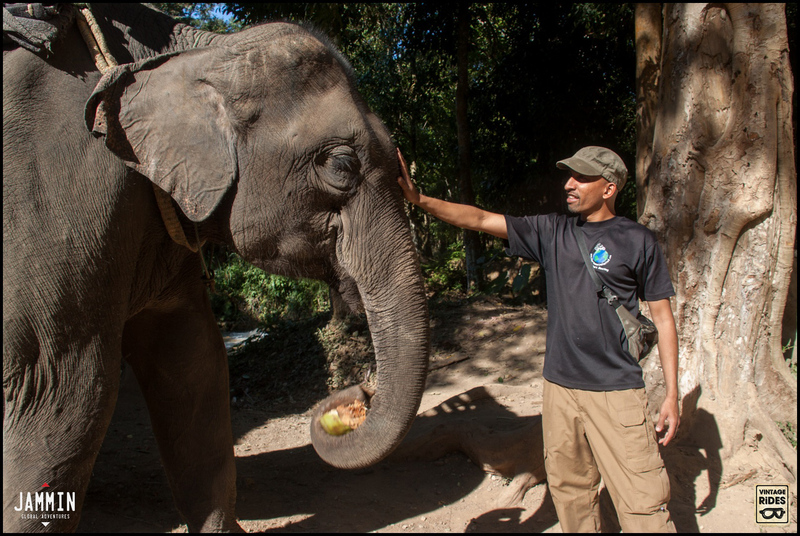 Touching elephants at Tat Se, a waterfalls near Luang Prabang. 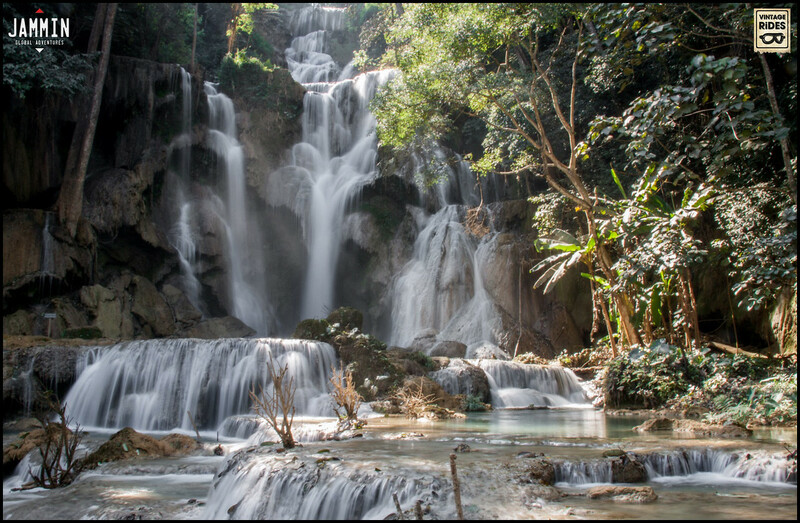 Kuangxi Waterfall near Luang Prabang. 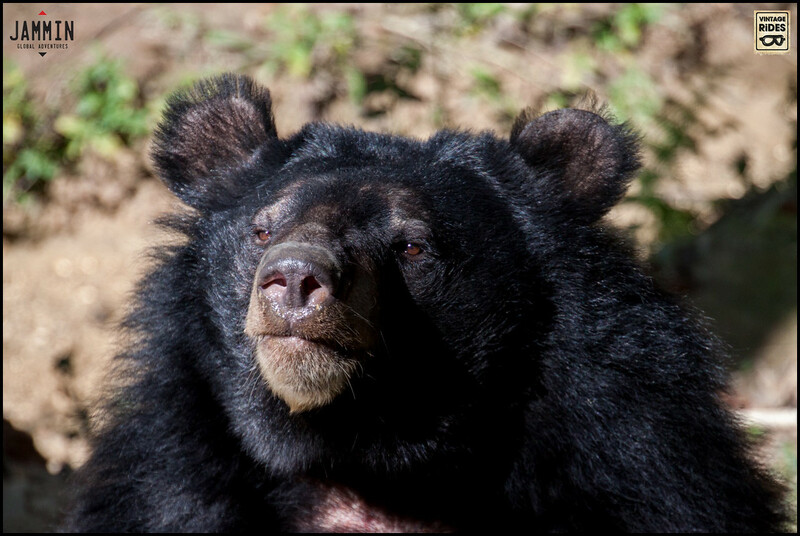 Asiatic bears in Luang Prabang at the Free the Bear centre. 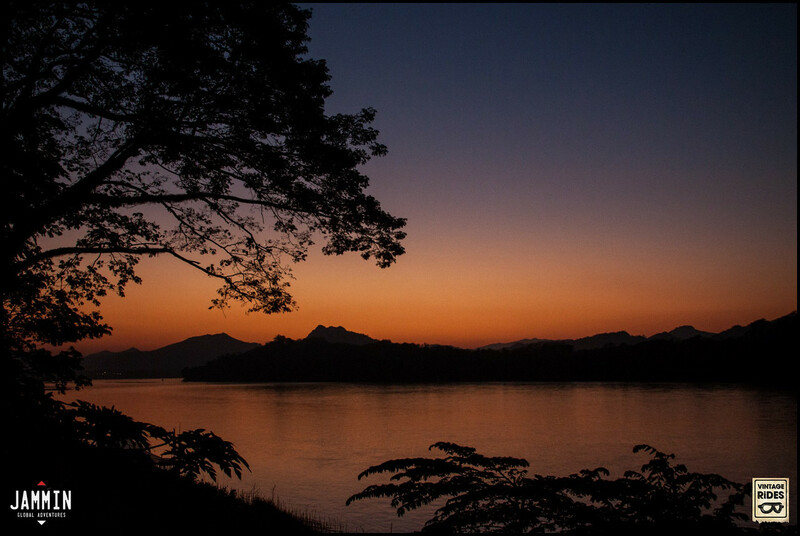 Sunset on the Mekong River at Luang Prabang. Happy New Year from Laos! 2014 has been a fantastic year! 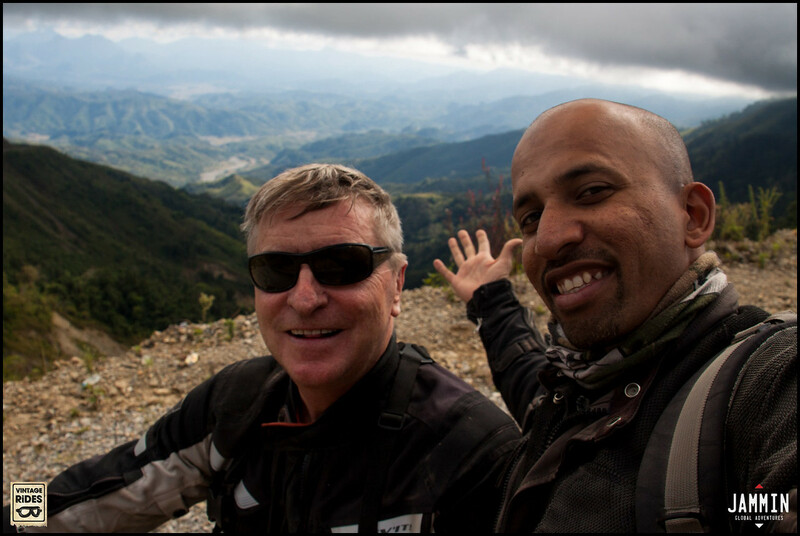 February saw me launch my motorcycle adventure travel company, Jammin Global Adventures Ltd! June and it was roasting hot in North India! In August I had my first tour in Kenya and it went great! In October I celebrated Diwali with family in Hyderabad and there was MTM North in Delhi. 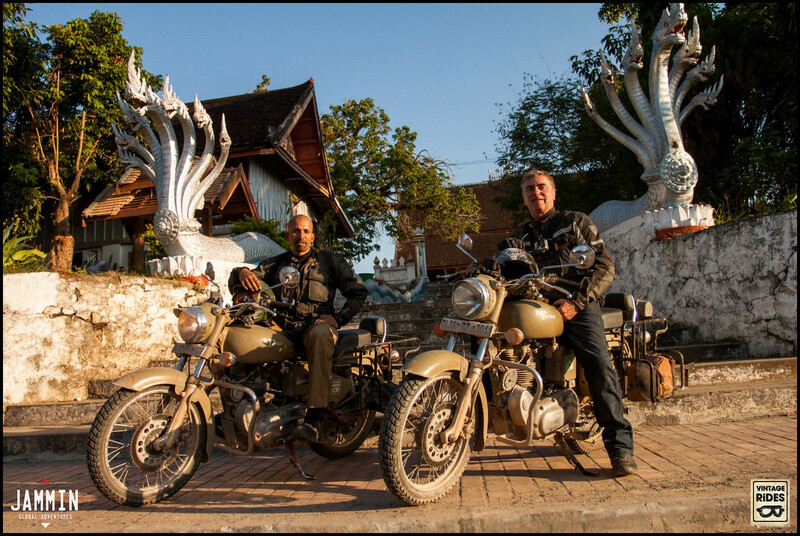 December was the highlight of the year as I rode through Myanmar, Thailand and Laos. 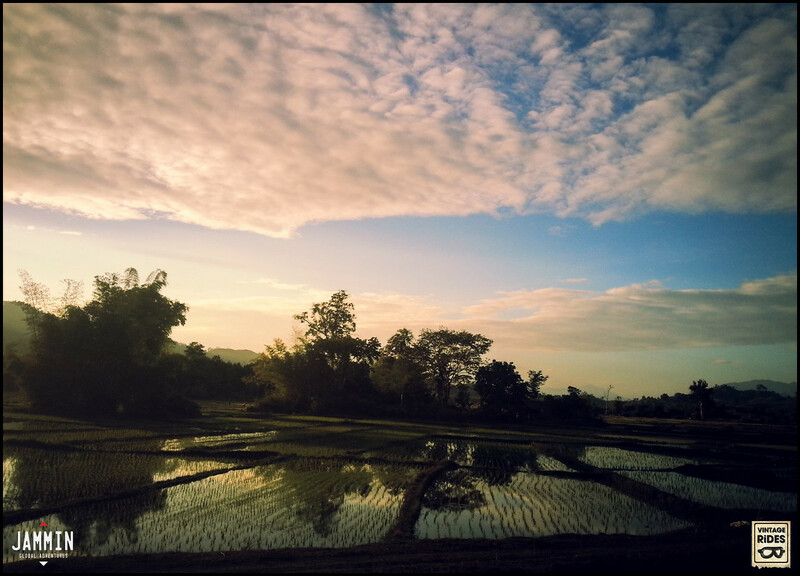 Happy New Year from Southeast Asia! Transcon: We did it! 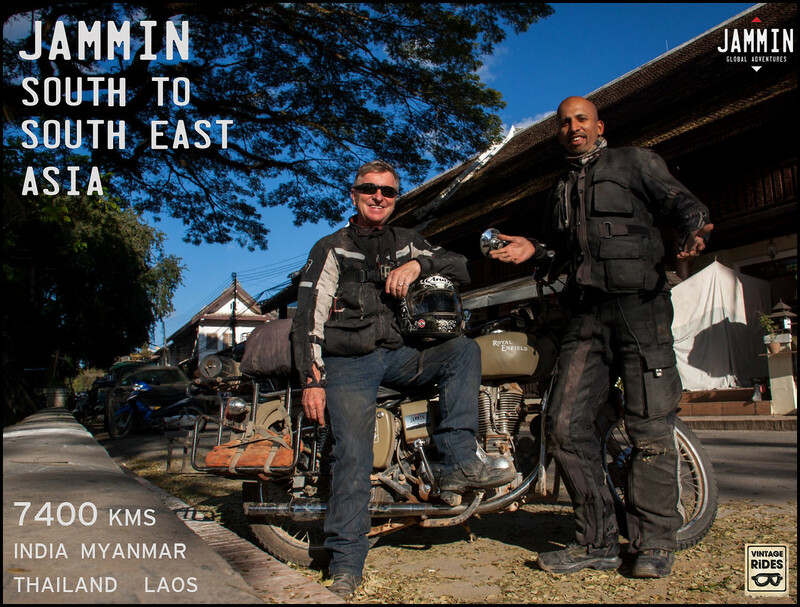 Delhi to Laos, 7400 km! 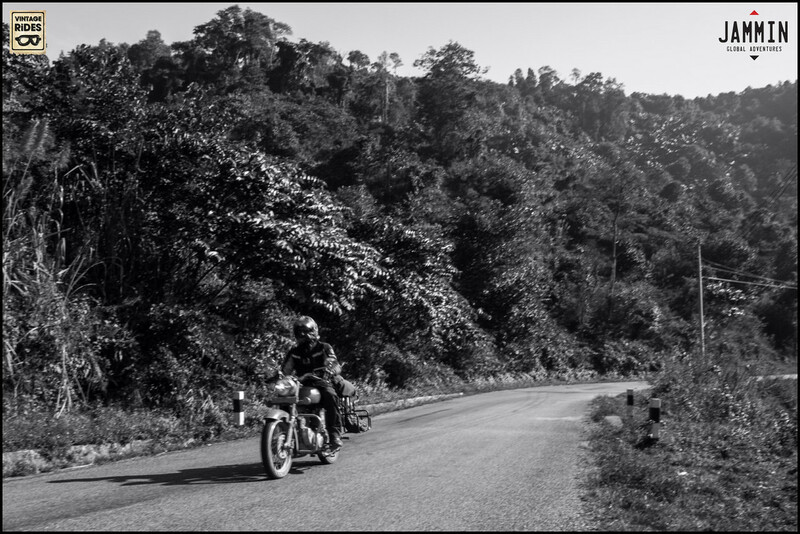 The last day’s ride from Vientiane up past Vang Vieng to Luang Prabang was quite epic as we crossed a high mountain range and could look all the way to the valley below. A great ending for the journey. And now for some much deserved R&R. Thanks for following along and I’ll post more videos and photos soon. Cheers! We did it! Delhi to Laos. 7400 km. 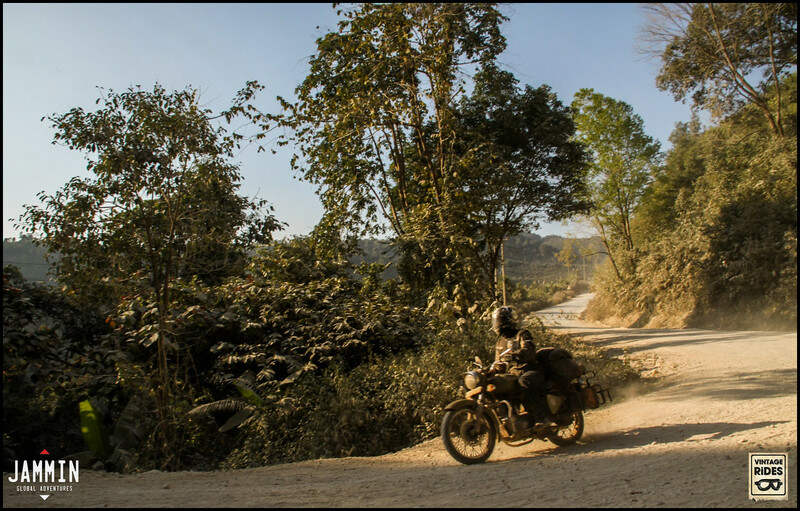 India – Myanmar – Thailand – Laos. 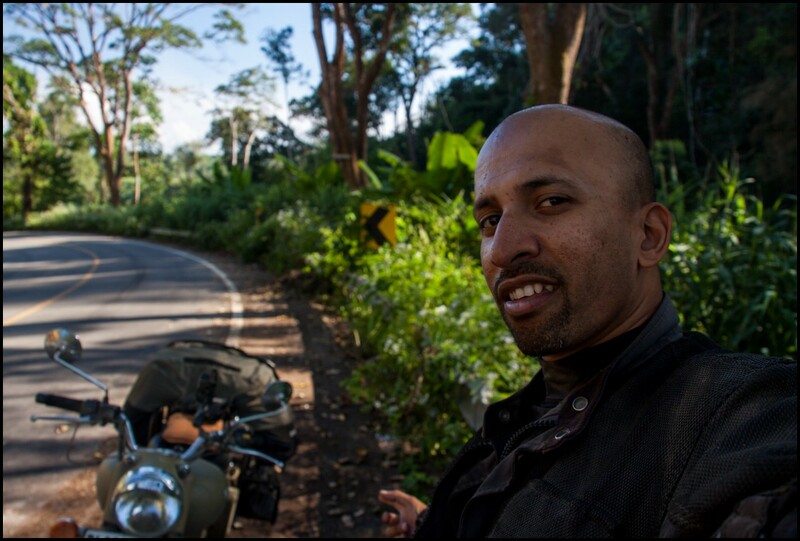 We emerged from the jungle roads on smooth tarmac and realized we were heading west towards Thailand instead of south towards Cambodia. Haha, well that’s what adventure is all about! 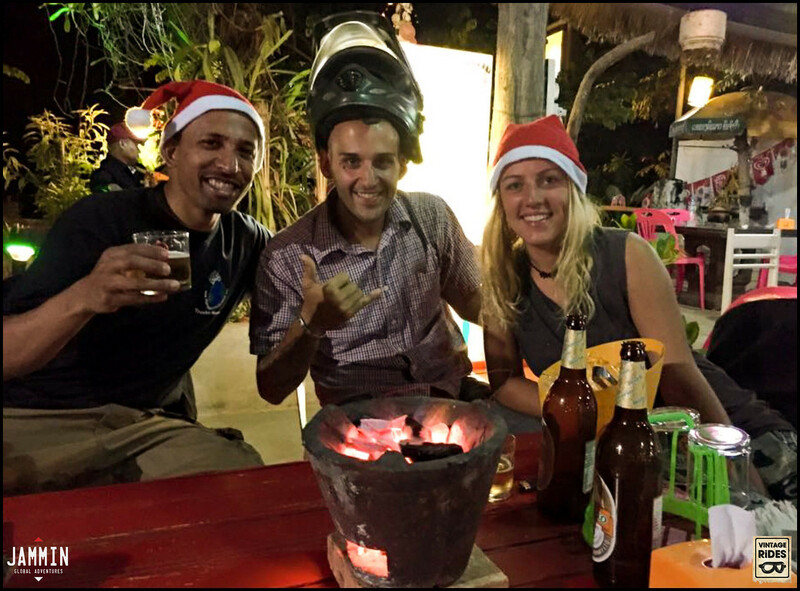 We were lost for a reason – exploring new lands on two wheels… Plans changed and we got down to the Mekong River just as the sun set and enjoyed Christmas Dinner in Pakxan with some other two-wheel travelers over hot pot beef and BeerLao. Now we’re in Vientiane, the capital, and it feels so flash compared to where we’ve been and we splurged on seafood pizza and espressos. One more day left on this Transcontinental ride! 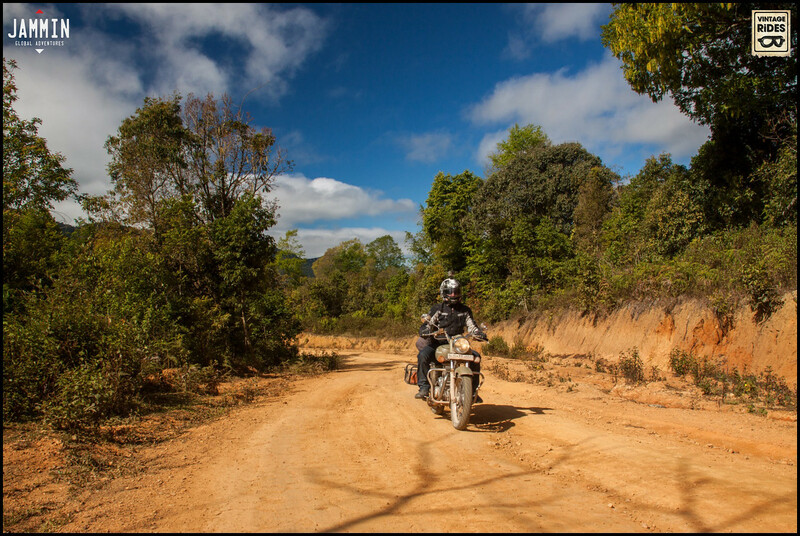 Riding the wonderful dirt roads of Northern Laos, getting lost in the jungle. Crossing a narrow wooden bridge. Just do it! 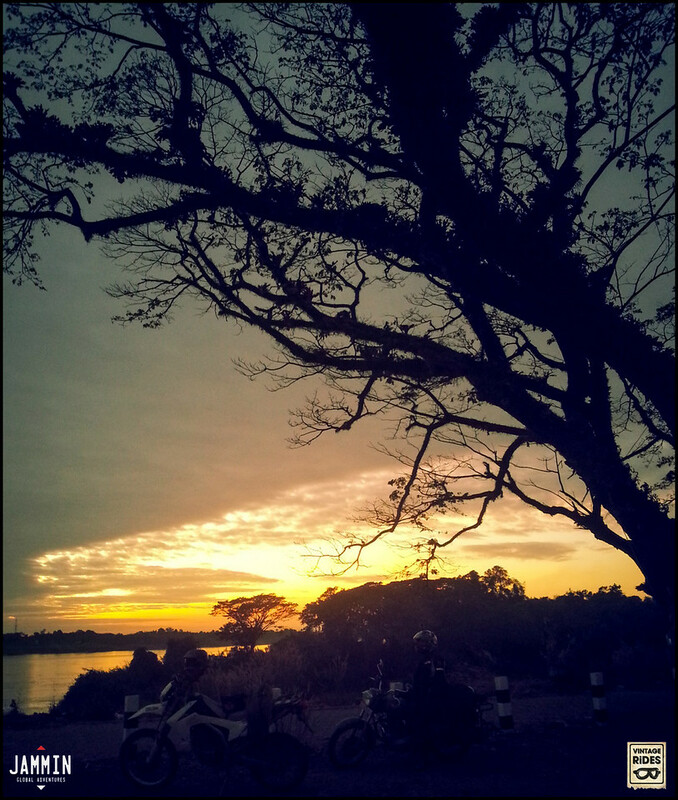 Sunset at the Mekong River. Christmas with travellers in Pakxan. Cheers! Back on the road after a few days rest. 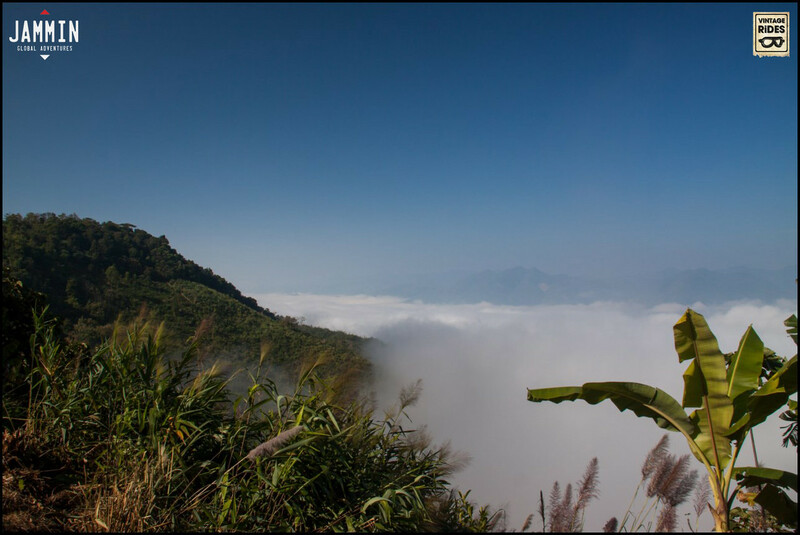 We left Luang Prabang and started climbing high and what a sight to see the clouds trapped in the valley. We were literally riding above the clouds, although it was just fog. 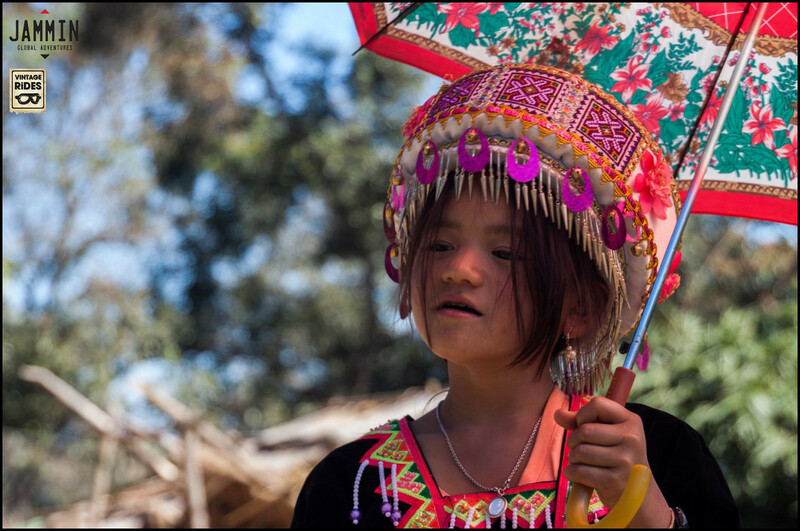 It’s time for Hmong New Year and they are the people of the mountainous area of Laos. In every town and village we saw people decked out in the their traditional wear and there’s this courting custom where girls and guys stand across each other and throw a ball to play catch. If the guy drops it, he’s considered not worthy. Riding above the clouds as we left Luang Prabang. Coming across Hmong people as they celebrate their New Year. Very colorful attire. 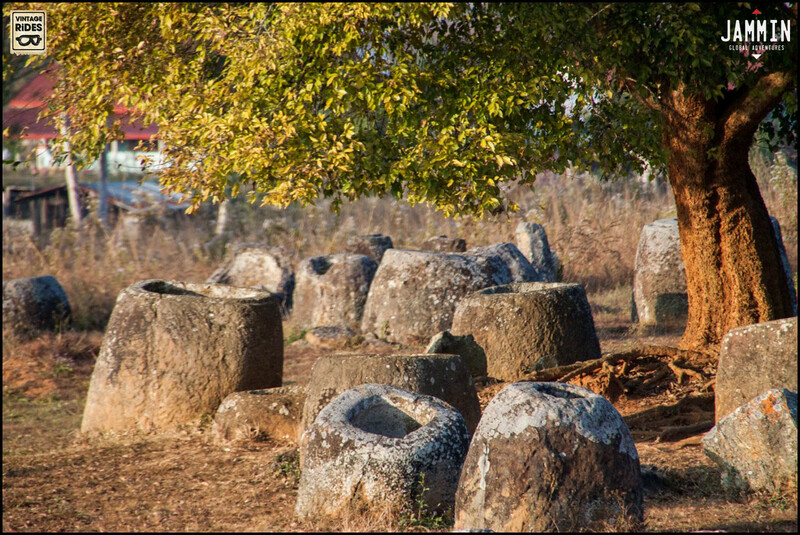 The Plain of Jairs in Phonsavanh. 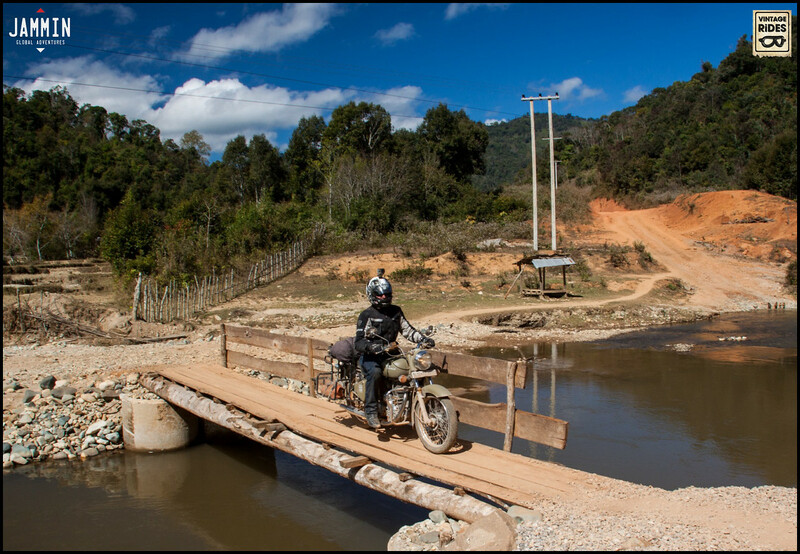 All roads in northern Laos lead to Luang Prabang. We took a day off to explore a bit of this unique town that has kept its charm through the years. 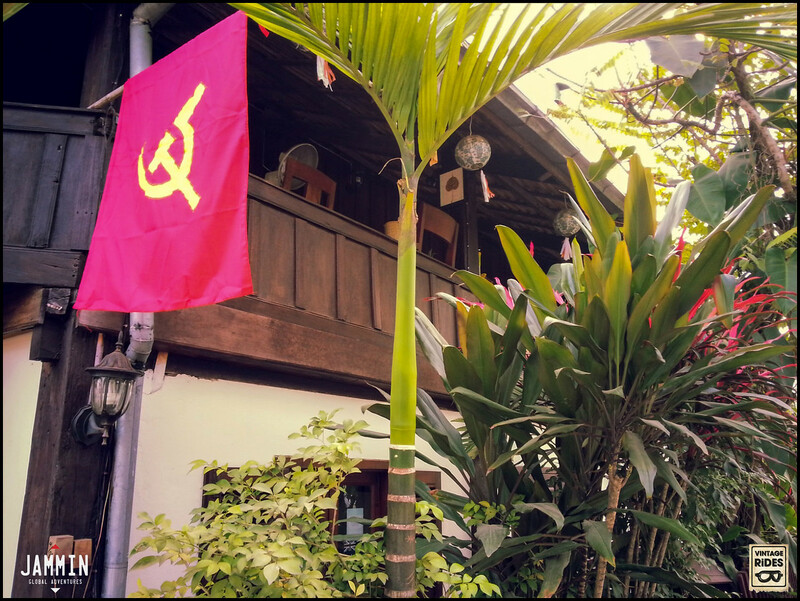 There’s a mix of Lao and French colonial influences everywhere from the warm baguettes to the hammer and sickle flying from every building. We’ve been enjoying tasty noddle soups that come with heaps of fresh greens and for a change we found an Aussie sports bar for lunch! The day off was well used to wash all our gear that was covered in dust and take care of some bike issues, flat tire, welding, just the usual stuff 😉 Now we’re heading for the last week of this journey, a loop around Laos. Royal Enfields in Luang Prabang! 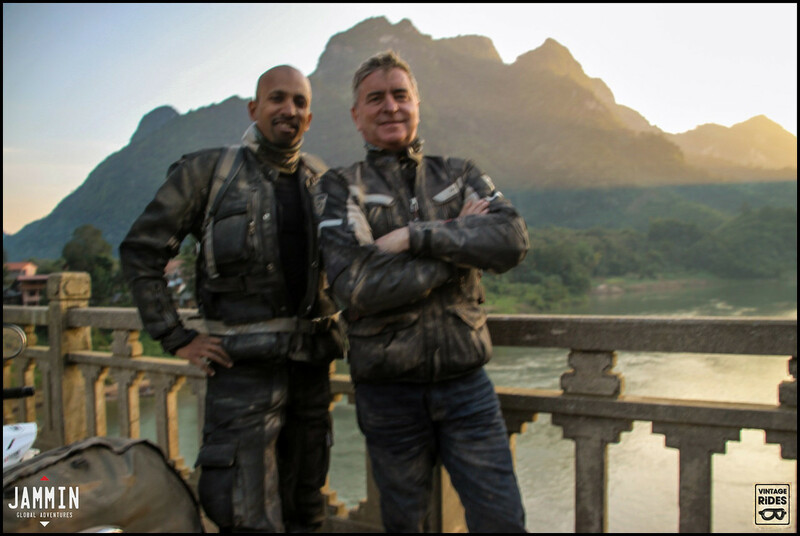 Riding from India to Laos. 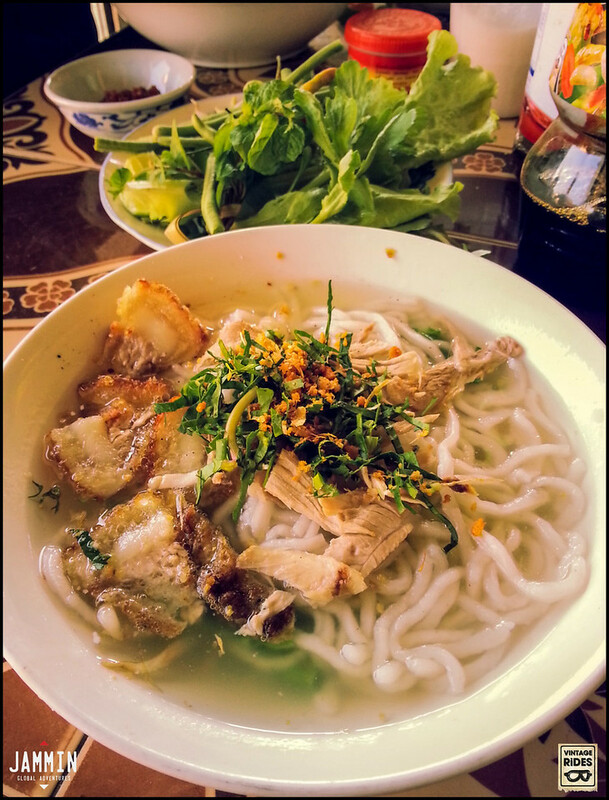 Super tasty Laotian noodles with crispy pork. Laos is a communist country and we saw the red sickle flags all over. Every building has to fly it. 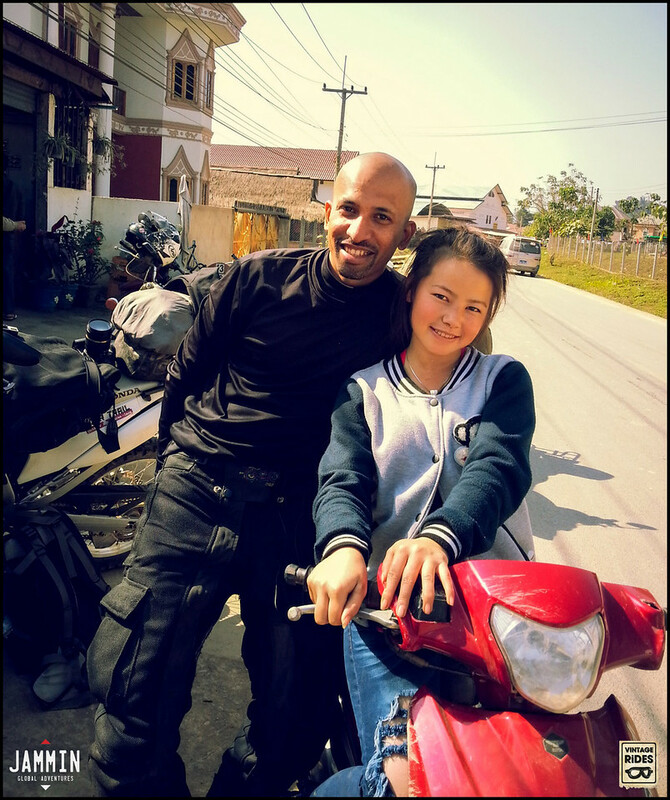 Exciting riding in Laos! 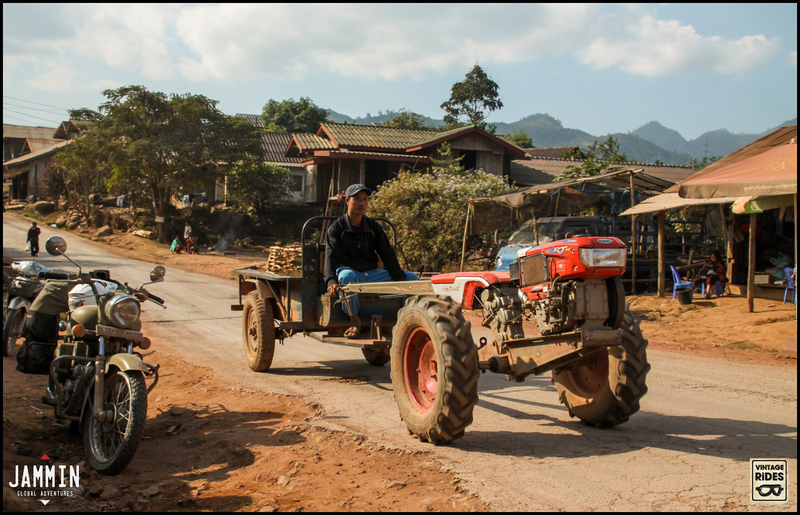 From Luang Namtha, we continued on more sublime twisties and then there was a long stretch of construction through the jungle that made for fun offroading. It’s the dry season now so that means we were covered in dust, the fine powdery kind that gets in everywhere! The landscape is just stunning here with so many limestone karst formations and the people are very friendly and always up for a photo. 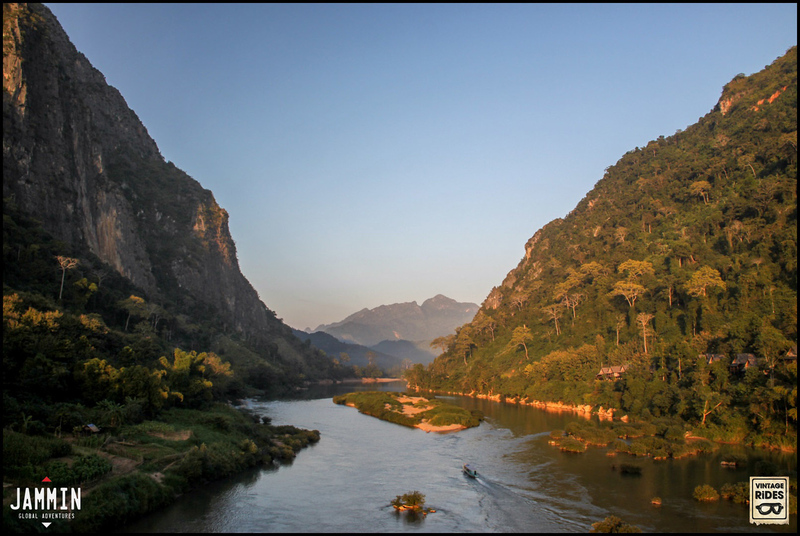 Ended up in Nong Khiaw for the night and what a location with steep mountains on either side of the Nam Ou River. It’s nice and warm during the day but the nights are cold. Noel and I stayed right on the river and had some Beerlao while going over thrilling bits of the ride from the day.